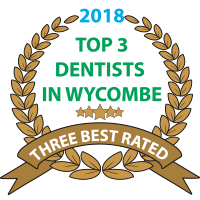 We are absolutely delighted, proud and honoured to be rated one of the top 3 dentists in High Wycombe. Stokenchurch Dental offers exclusive and cost-effective monthly payment plans that give you access to an enhanced level of control over your dental health. "Friendly reception team, expert dental treatment and a caring dental nurse - I strongly recommend Stokenchurch Dental." 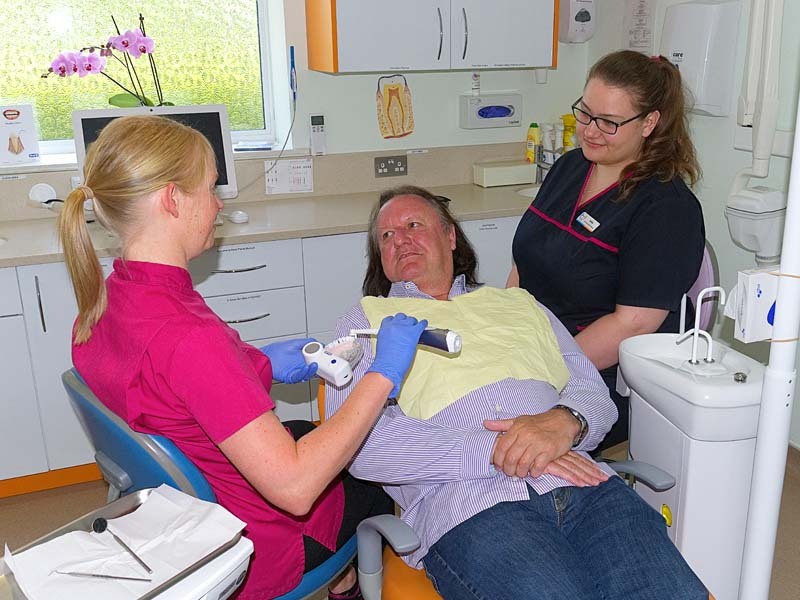 "I have had a fear of dentists for many years that I have had to have fillings done under gas and air and other treatments done under sedation, which really adds to the final bill. After breaking a tooth and needing an emergency appointment, I can highly recommend Stokenchurch Dental. My trust is restored and my fear has gone, after having 4 appointments, in 4 weeks, the dentists are skilled and gentle and reassuring." "I recently joined this practice and have been extremely impressed by the level of excellence. The treatments I have had ( including an extraction) have been carried out pain free and the ‘chair side’ manner of the dentists is exemplary. The receptionists are amazing too!" Our friendly, family oriented dental surgery is located in the centre of Stokenchurch, Buckinghamshire near the M40 and also within easy reach from Chinnor, Thame, Watlington, Lewknor, Ibstone, Radnage, Lane End and surrounding villages. We have invested in the very best state of the art technology so that we can can deliver the highest standards of affordable dental care to you. Our practice is fully computerised so that your dental records are safe and always near to hand, and our dedication to education, training and investment means that you can rely on consummately skilled and professional staff who are equipped to meet your every dental need. On our membership plans you could save up to 10% off the cost of your dental treatment from as little as just £11.00 a month. At Stokenchurch Dental, we’re proud to offer our patients a comprehensive range of high-quality dental and the latest cosmetic treatments, carried out by well-trained and highly-experienced professionals. We strive to create a atmosphere where you will feel relaxed and cared for to the highest standard. Stokenchurch Dental was recommended to me by a family member. I have had several appointments recently and the treatment and care received has been first class. Very kind,friendly and reassuring staff. 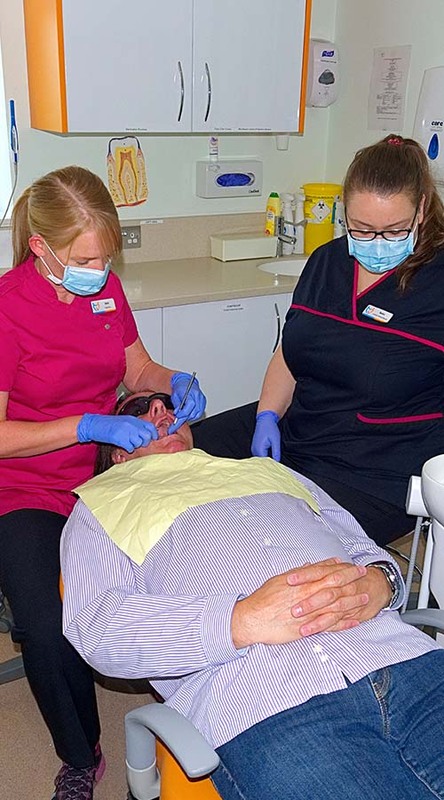 I have had a fear of dentists for many years that I have had to have fillings done under gas and air and other treatments done under sedation, which really adds to the final bill. After breaking a tooth and needing an emergency appointment, I can highly recommend Stokenchurch Dental, my trust is restored and my fear has gone, after having 4 appointments, in 4 weeks, the dentists are skilled and gentle and reassuring .